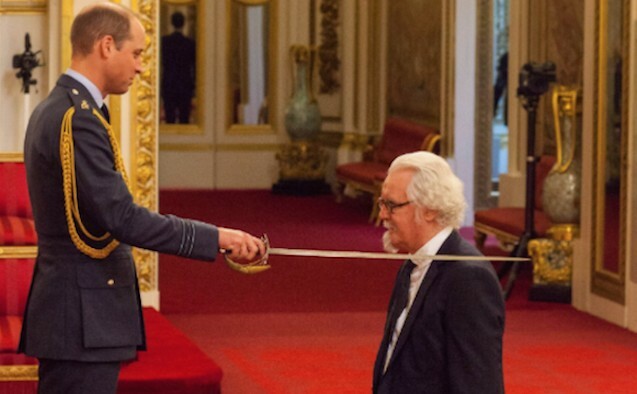 Billy Connolly, the legendary comedian and person with Parkinson’s, has been knighted for his services to entertainment and charity. Connolly, who is 74, attended the ceremony at Buckingham Palace on 31 October, where he was presented with the honour by Prince William. Connolly, who was diagnosed with Parkinson’s in 2013, is well known for his charity work spanning several decades – including working with organisations The Celtic FC Foundation and the Live Aid benefit concerts. Social media users were quick to praise Connolly, nicknamed The Big Yin, for receiving the accolade. The Royal Family tweeted a hearty “congratulations”. Nicola Surgeon, First Minister of Scotland described him as a“true Scottish legend”. Sports presenter David Tanner described meeting Connolly as a “big thrill”. Comedian Ian Royce was equally complimentary, describing himself as “beaming with pride”.